Activists from Greenpeace attempted to block Royal Dutch Shell’s icebreaker from leaving port in Portland, Oregon, in the hopes of derailing Shell’s Arctic drilling plans. But the Greenpeace activists hoped to further throw a wrench in Shell’s plans. 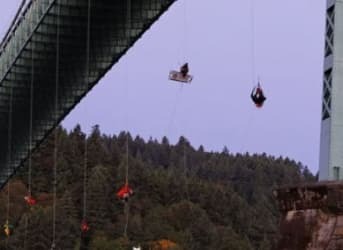 A group of 13 climbers from the environmental group rappelled off the St. Johns Bridge in Portland, attempting to erect an “aerial blockade” to prevent Shell’s icebreaker from leaving the city. They were joined by a team of “kayaktavists” who paddled out to blockade the Willamette River. The icebreaker was scheduled to depart on July 29, but did not leave. Greenpeace says the climbers have supplies to last a few days dangling from the bridge. Related: Where In The World Is The Shale Gas Revolution? On July 30, the icebreaker again tried to depart, but as of midday, it had turned back to port in the face of the blockade. Imperial Oil, ExxonMobil, and BP have hopes of eventually drilling an exploratory well in the Beaufort Sea, but for now are focused on pressuring the Canadian government into extending their license for another seven years. 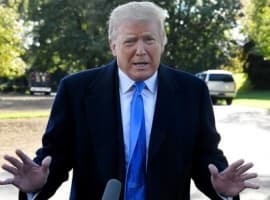 If the government doesn’t offer an extension, the companies could forfeit a portion of their $341 million deposit. The Beaufort Sea could hold 1.36 billion barrels of oil. With oil companies on the sidelines in the Beaufort Sea, Shell remains the lone operator looking to drill in North America’s portion of the Arctic Ocean. But, with a short window to drill before sea ice returns, Greenpeace activists hope contribute to yet another failed drilling seasons for Shell. What Is In Store For the Halliburton-Baker Hughes Tie-Up? 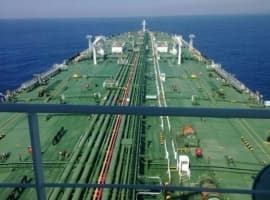 Maybe it's time for Shell to sue not only Greenpeace but the blockaders themselves once they are arrested, for damages. There will be a lot fewer people blockading projects if potential blockaders know that they face court judgements in the neighbourhood of $35,000 or more that because they are from willfull and criminal acts cannot be discharged by bankruptcy and like student loans will be with activists for the rest of their lives or until paid in full with interest.